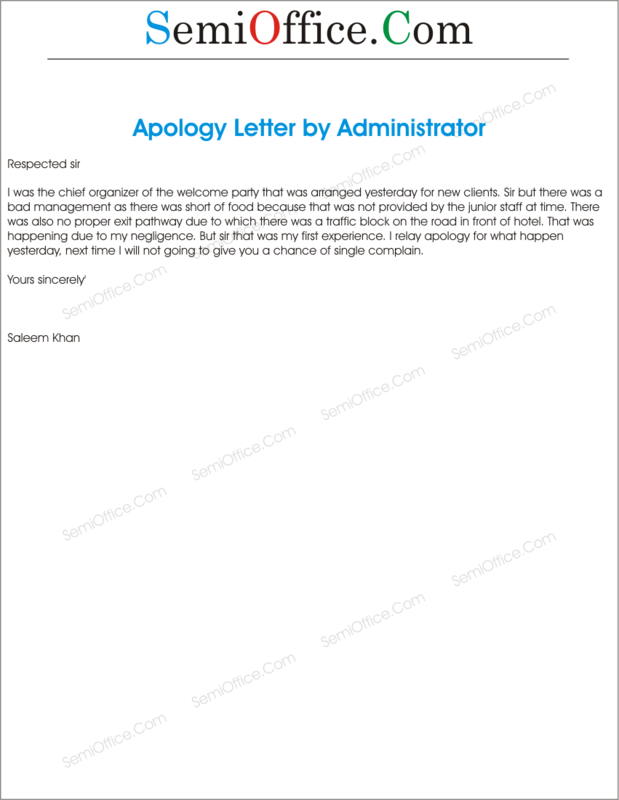 Sample apology letter by manager or event organizer to the general manager or director of the company to say sorry for miss management, poor arrangements and security issues. I was the chief organizer of the welcome party that was arranged yesterday for new clients. Sir but there was a bad management as there was short of food because that was not provided by the junior staff at time. There was also no proper exit pathway due to which there was a traffic block on the road in front of hotel. That was happening due to my negligence. But sir that was my first experience. I relay apology for what happen yesterday, next time I will not going to give you a chance of single complain. We apologize for our poor management and administration in the yesterday ceremony. We know that you have suffered great lose due to our poor administration. Due to this event we have fired our administration head. Your loss can not be concealed only by apologies and payment of damages. It would be an honor if you provide us another chance to serve your institute and regain your trust. I am writing this letter to you to apologise for the poor administration of the office when you were not present. I am extremely sorry for my negligence and I will make sure it never happens again. Please forgive me; I shall be very thankful to you.